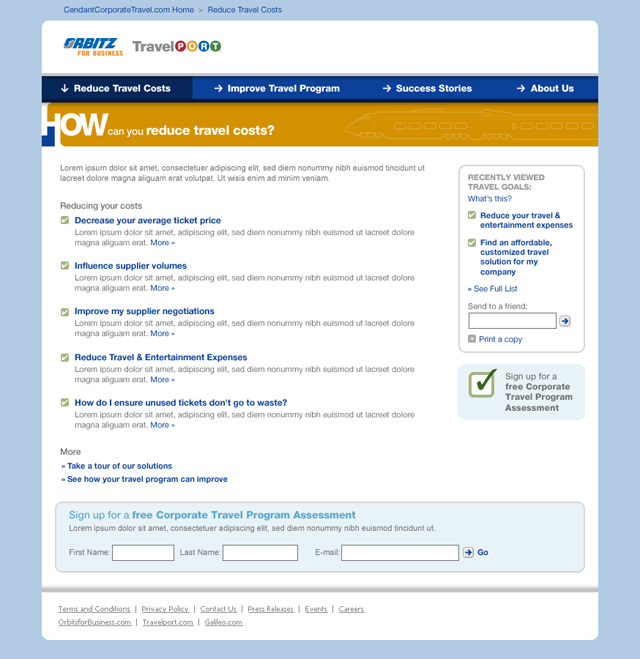 Cendant Corporate Travel needed a website and branding to help launch a corporate travel portal combining Travelport with Orbitz Business Travel. We came up with a hybrid approach to brand and designed a website that is visually appealing and provides a seamless user experience. 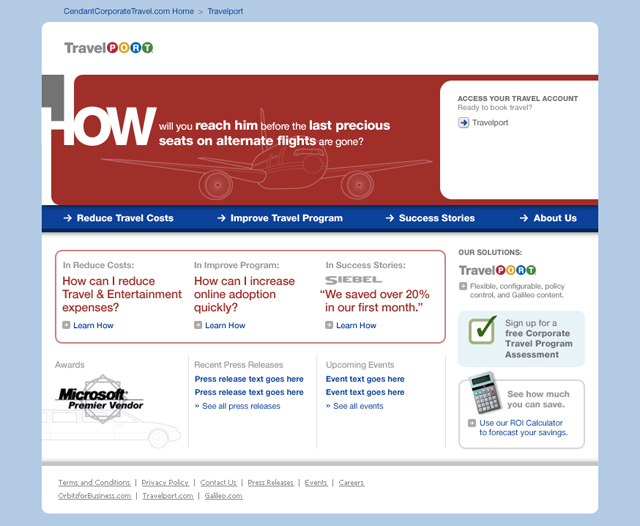 This site serves as an integrated destination for business travelers.